Also called Cheval Demi sang du Centre, French Saddle Horse & French Half-Blood, the Selle Français is the result of many years of selective breeding. This breed was centuries in the making, the French found a passion for testing & perfecting the sport horse. First named a breed in 1958, the first stud book was established in 1965 and created by crossing regional breeds with trotters, Thoroughbreds, Arabians, Anglo-Arabian & Anglo-Norman animals. Each contribution came from well documented stock creating one of the few warmbloods to receive very little foreign blood. The most influential breed was the Anglo-Norman and about 90% of todays French Saddle Horses have lineage in that breed. Today there is more cross-breeding with other bloodlines creating a more versatile animal. 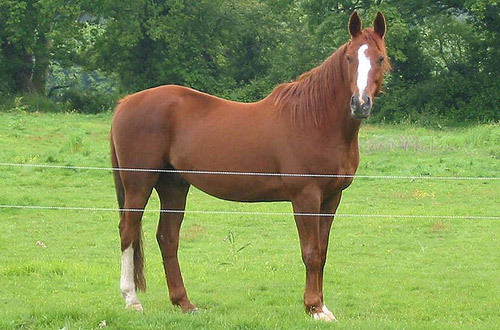 This breed is notable within the warmbloods due to the strong influence of trotting breeds. Due to their diverse origins their confirmation can vary however selection leans toward large sizes & well-built confirmation. 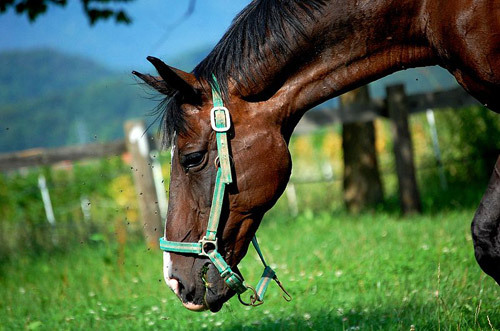 Do you have images or know more about the Selle Français breed? I’d love help completing this page, please contact me to get involved.